Great Day's popular Truck N' Buddy is now available to fit trucks with bed covers. 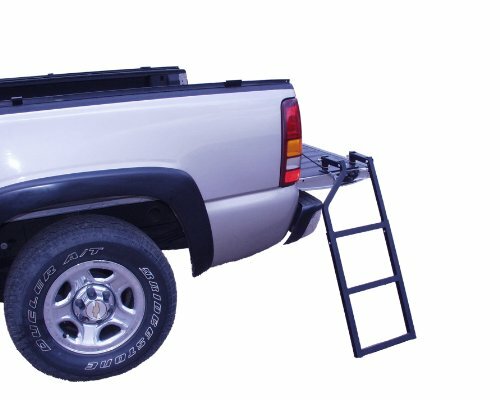 With the Model TNB2001, you can enjoy the convenience of quick and easy access to the truck bed. Also perfect for loading aging pets. The new TNB2001 design allows the Truck N' Buddy to mount flush with the outer edge of the tailgate of a truck with a bed cover. 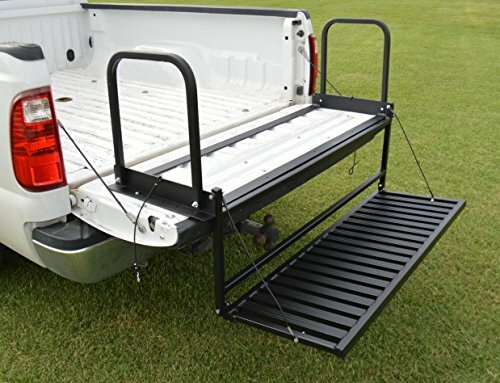 The truck bed cover and the tailgate close completely once the Truck N' Buddy is installed and in the folded position. The maximum weight capacity of the TNB2001 is 300 lb. It is constructed of aircraft aluminum, weighs only 14 lbs. and stores compactly out-of-the-way. The Truck N' Buddy folds and unfolds effortlessly in seconds to do the job at hand. 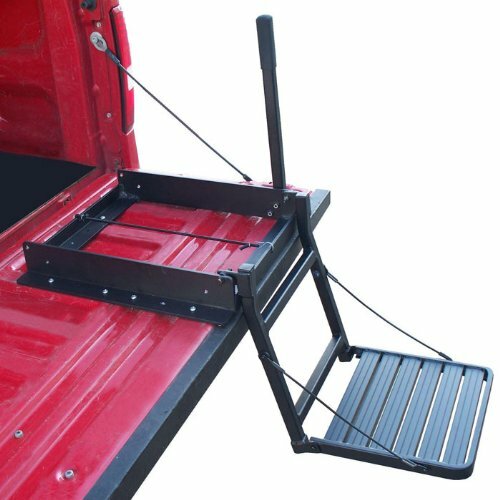 The Truck N' Buddy's step/seat platform is supported by 1700 lb. test cables and has built-in traction ridges for sure footing. 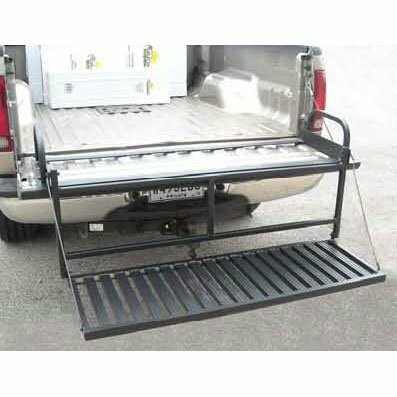 It also features a handy 18" grab-rail to insure safe entry into the vehicle. 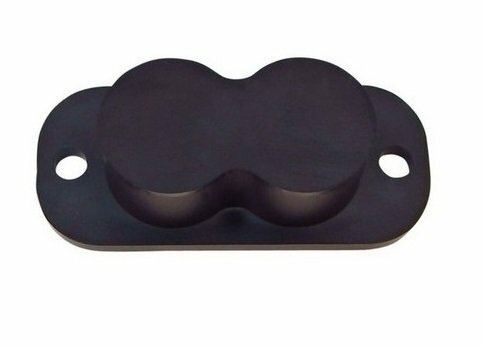 The Truck N' Buddy is available in a super-tough black powder-coat finish. NOTE: Modification and/or drilling to the vehicle may be necessary for installation. 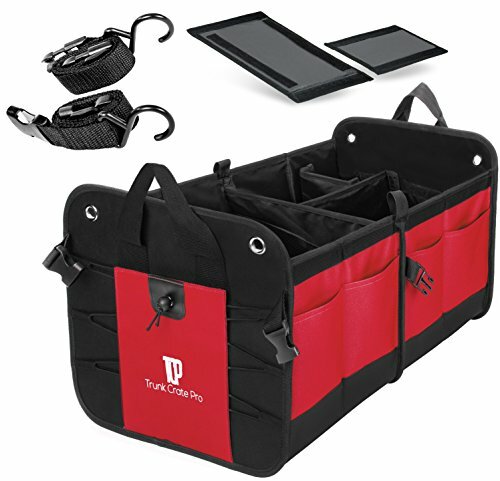 The Truck N' Buddy folds and unfolds in seconds. 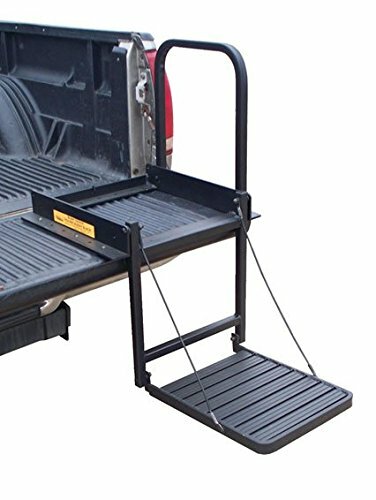 It features an 18 inch grab rail and non-slip traction ridges on the platform to insure safe and easy use. It has a weight limit of 300 lbs. 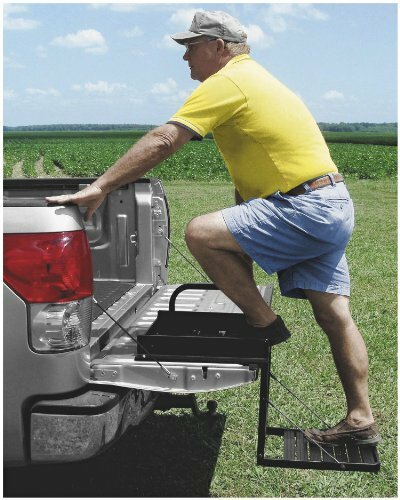 TRUCK'N BUDDY TAILGATE STEP by Great Day ~ Made in the USA! 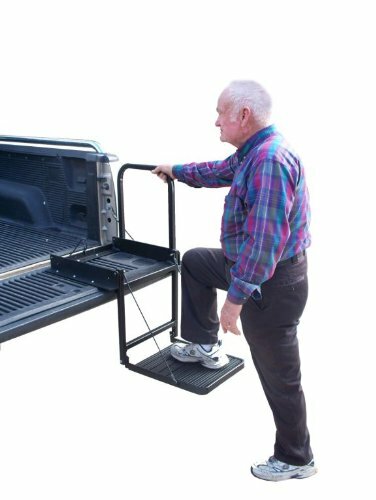 Great Day's Truck N' Buddy is the perfect accessory to take the strain off of getting in and out of your truck bed and is available at http://www.autotrucktoys.com/. Compare prices on Truck N Buddy at ShoppinGent.com – use promo codes and coupons for best offers and deals. Start smart buying with ShoppinGent.com right now and choose your golden price on every purchase.